ABC News announced this morning that it plans to join forces with Univision News to create a multiplatform news, lifestyle and information programming service aimed at U.S. Hispanics. Both organizations promised in a statement to provide "uncompromising coverage of current events with a unique perspective" with the around-the-clock, English-language television network and digital platform. Both will cater to the country's more than 50 million Hispanics with programming focused on news, lifestyle and culture. The television network will be staffed by journalists from ABC News and Univision News. A website, mobile and social media content are expected to debut this summer. The yet-to-be-named television channel is expected to launch in 2013. Editorial coverage will focus on the issues most relevant for U.S. Hispanics, including the economy, jobs, health care, immigration, education, politics, entertainment, health and wellness and more. "This exciting joint venture represents the latest example of our long-term strategy to broaden the reach of ABC," Anne Sweeney, president of the Disney-ABC Television Group, said in a statement. "Our powerful premier news brand, combined with the world's leading Hispanic media company, will create the nation's first news and lifestyle channel targeted to this quickly expanding and important community." Cesar Conde, president of Univision Networks, said in a statement, "For more than five decades Univision has been the leader in serving Hispanics in the U.S. and this joint venture is an extension of our vision to deliver the most relevant news and information, regardless of language, to all Hispanics." 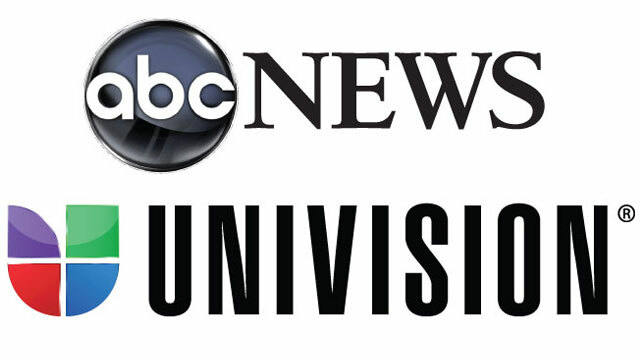 This alliance combines the expertise and brand strength of Univision News with ABC News' leadership and is another example of Univision's commitment to serving and empowering Hispanic America while connecting all audiences to Latino issues." ABC News president Ben Sherwood said in a statement, "All of us at ABC News are thrilled to work with Univision. Our mission is clear: To offer culturally relevant news, information and lifestyle programming to the large and thriving Latino audience in the United States. In these times of rapid change, we are very excited about this opportunity." In an email to ABC News, Sherwood noted that "Univision has a deep and important relationship with the U.S. Hispanic audience. By sharing our resources, we will inform, entertain and empower the enormously influential Hispanic American community and many others interested in our programming." Isaac Lee, president of Univision News, called the combined effort "an important moment for journalism in the U.S. and for the U.S. Hispanic community" that will "provide all audiences with a multiplatform current events perspective on the issues that matter most to Latinos." A management team is expected to be announced this summer. The network will have anchors and correspondents in major cities across the United States. Additionally, ABC News and Univision News will share newsgathering and production resources.